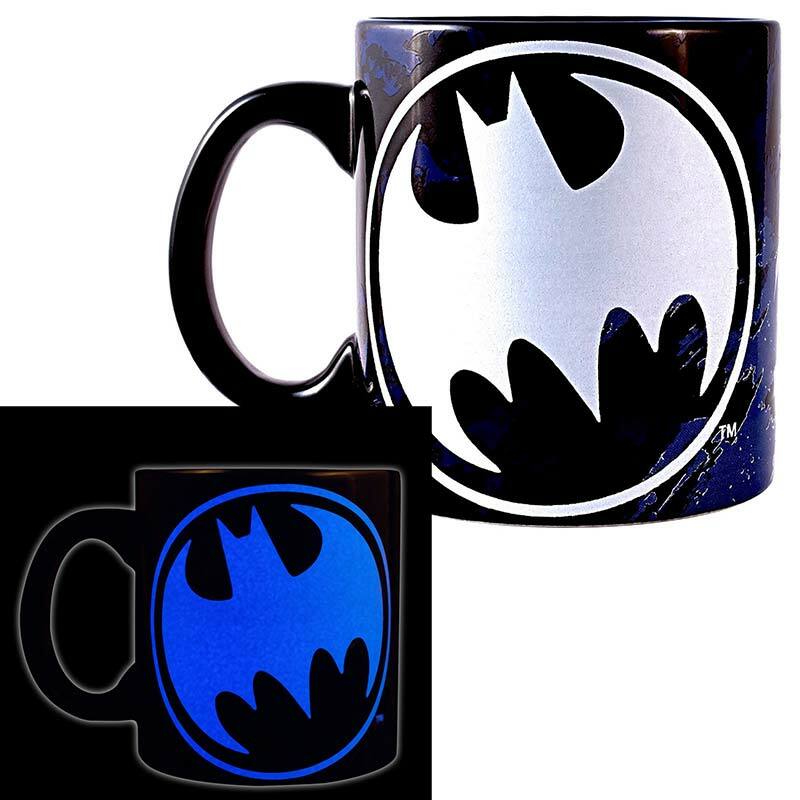 Officially licensed Batman 20 ounce mug. 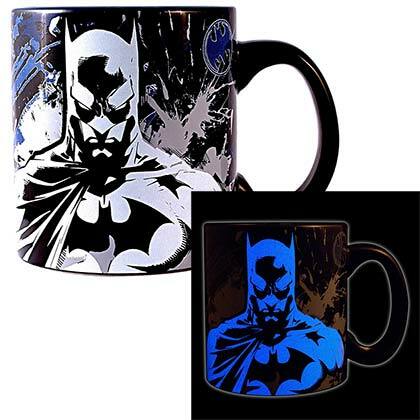 Features Batman on one side and a large logo on the other. Designs glow in the dark.